In order to bring people together through video, Facebook has launched Watch Party around the world. What is the new feature about? Let’s find out! 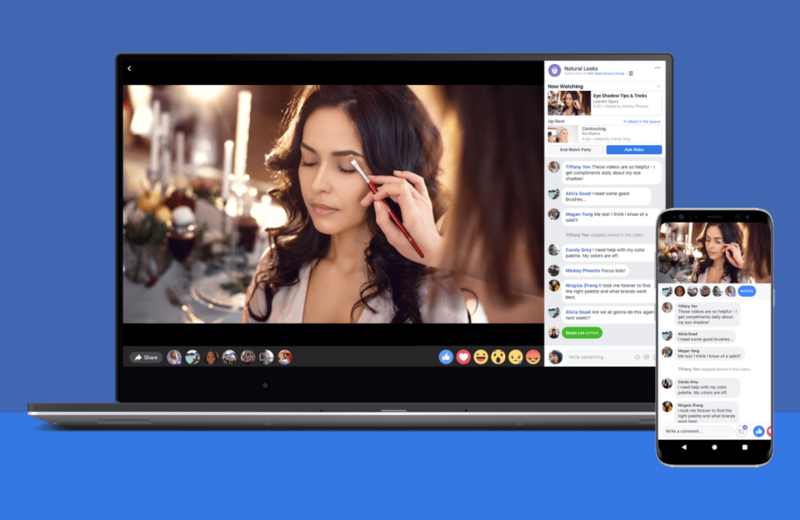 Facebook Watch Party is a new feature for groups that allows group members to watch videos simultaneously in real time. So it doesn’t matter where in the world you are, once a Watch Party is started, you will be able to see it with your friends or other people that have joined the same group you did. This is a new way of creating connections and engagement. Before launching the new feature globally, Facebook representatives have been collecting feedback from group admins in order to see how they could use the new feature. And their answers were: Q&As around hobbies, sneak peeks from video shootings or concerts, tips, and tricks from businesses or from influencers, tutorials or even learning new skills from professionals or even broadcast an interview with a personality. This depends, of course, on the scope of the group. After a closed beta release and during the feedback collection period, Facebook representatives have studied both smaller and bigger Facebook groups and have seen an increase in the engagement rate whilst using Watch Party. There have been long sessions of Watch Parties, that have lasted for more than 10 hours, with people joining or leaving the streaming throughout the day. But the Watch Party is also perfect for smaller groups, such as the ones for families or close friends, where users are able to share meaningful videos for the other members of the same group. The engagement was also high in this case as well. This new feature is a great way of creating new bridges for friends and families that are apart. Imagine you were able to virtually attend one of your friend’s graduation or the baptism of one of your friend’s child. And also share other important moments with beloved ones. This opens a world of new possibilities when it comes to video broadcasting. crowdsourcing: users will be able to suggest videos to be added to a Watch Party. What do you think of the new feature that has been released globally today? Were you part of the beta testing? Will you use it? See also: What is Facebook Local and How to Use it?